As somebody who grew up during the Cold War, it's is not uncommon for a curious kid like me to end up reading a lot about the arms race between the United States and the USSR - the spies, the weapons and of course, the planes! Harking back to that era is this Aeroflot Ilyushin Il-86, which is USSR's first wide-body aircraft, designed to compete against similar Western aircraft, such as the Lockheed L-1011 TriStar. 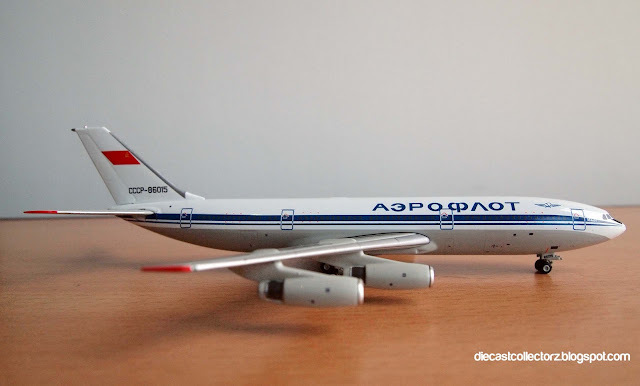 The Il-86 was manufactured from 1976 to 1991, and 106 were built .